My name is Amber Kay Bastian, and I identify as a birth nerd! Nearly fifteen years ago, my best friend invited me to her birth to be a support person. I didn’t think much of it at the time, but when Birth Day finally came, not only was a baby born, but a doula was born too, me! 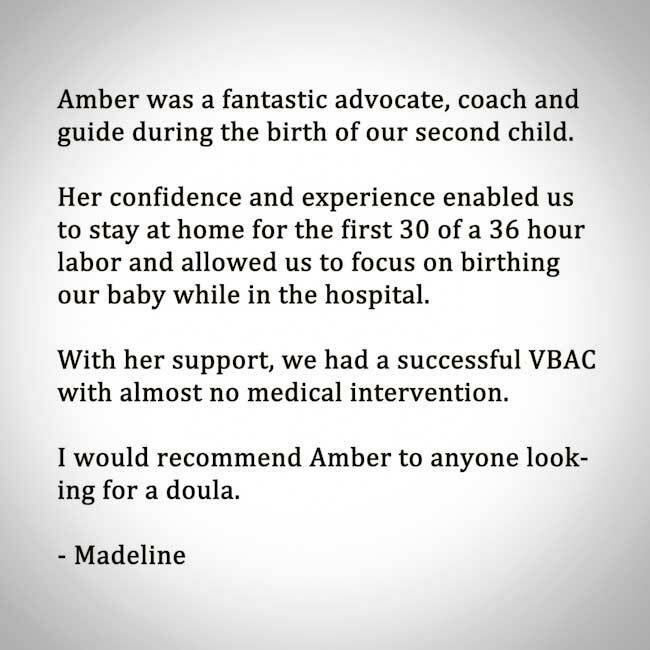 Since that first birth, I have attended hundreds of births as a certified birth doula. I also decided I wanted to educate and support families during more than just their births. This led me to obtain advanced training and certifications as a Lamaze childbirth educator, a breastfeeding counselor, a shiatsu & prenatal massage therapist and as a car seat safety inspector. I now work with a wide variety of new parents hoping for more knowledge, a better birth, or just a great massage. I live in South Minneapolis with my wife Corrie and our daughter Roma. I enjoy sewing cute things, baking gluten free cupcakes, and working on our endless home improvement projects! © 2014 Birth Nerd. All rights reserved. Amber & baby Ida May. Visit Blooma.com to schedule yours! Amber massaging a mama through a contraction. Baby Me First. Beer Me Next. 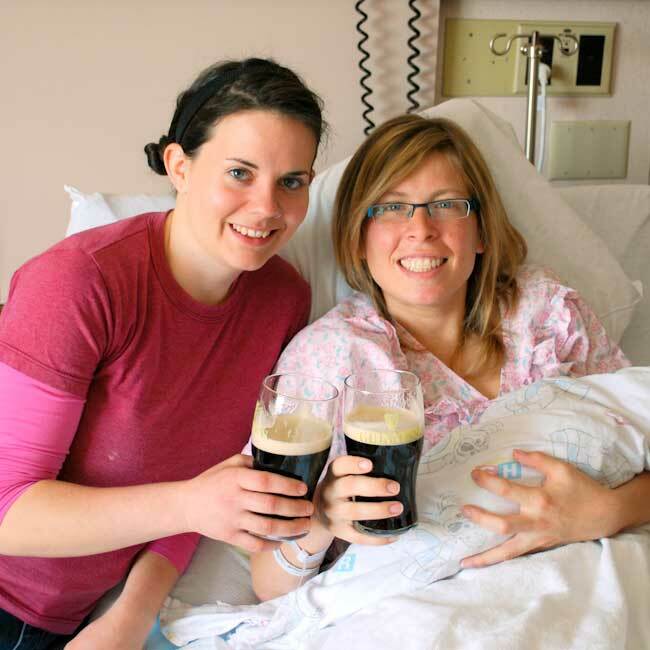 After a long pregnancy, Kelly decides it's Guinness Time! Amber is happy to join her. Bellycasting a mama who is 36 weeks pregnant with twins! Amber & Nicole with one of their favorite nurses at HCMC, Emily Rumsey! Exciting news: I have formed a doula partnership with Nicole Stecker, which means that we get hired as a team and are a "package deal." 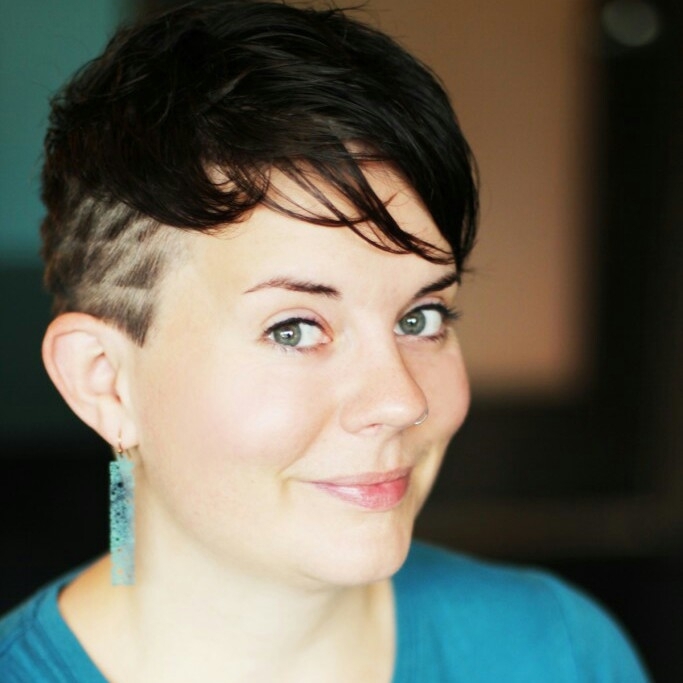 She is a birth doula, yoga instructor, new mama group leader, board member of the Childbirth Collective, and mother of two sweet kiddos. Together we have over 14 years experience and have attended several hundred births here in Minnesota. Our goal at partnering, is to be able to offer families a complete pregnancy and childbirth experience and the peace of mind in knowing the doula at your birth. By hiring us as a team, you will be assured to have the continuous care at your birth from someone that you have built a relationship with, allowing you to focus on the other aspects of this beautiful journey. 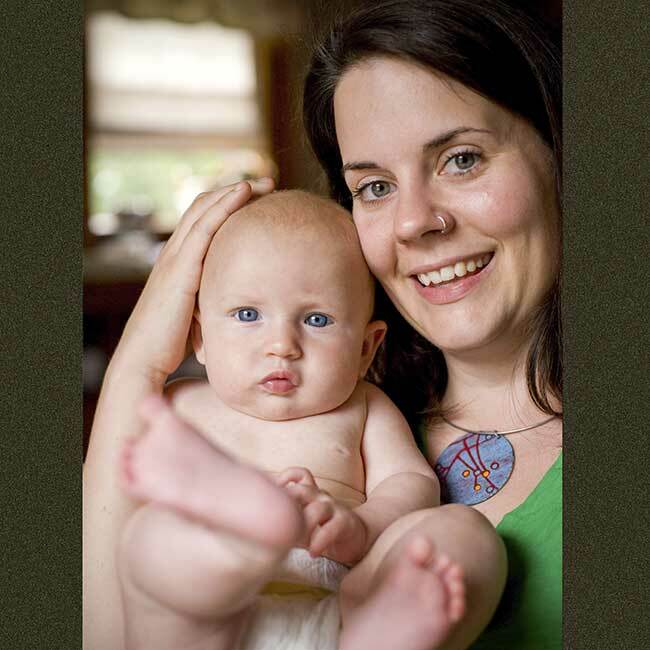 To learn more about Nicole Stecker, visit her website: www.rockyourbirth.net. Two prenatal visits to discuss childbirth and postpartum preparation. Phone and email support as needed during pregnancy and immediate postpartum. Emotional and physical support during labor and birth. 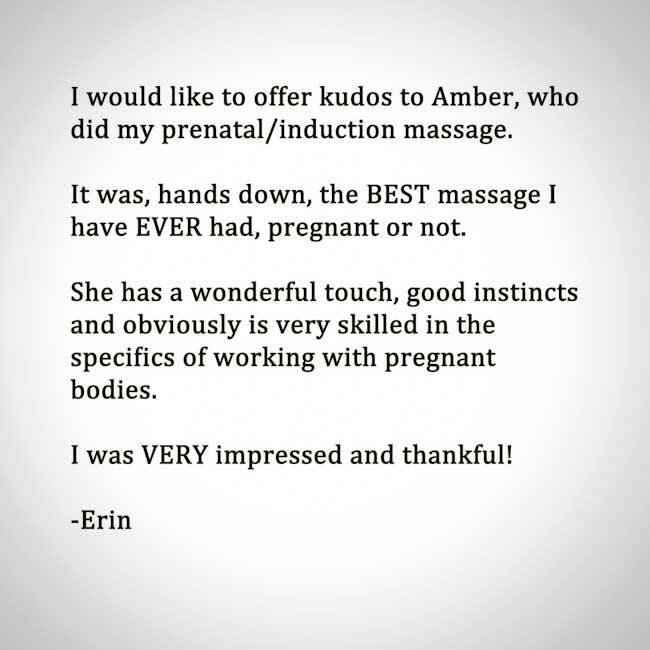 Massage and acupressure during labor and birth. 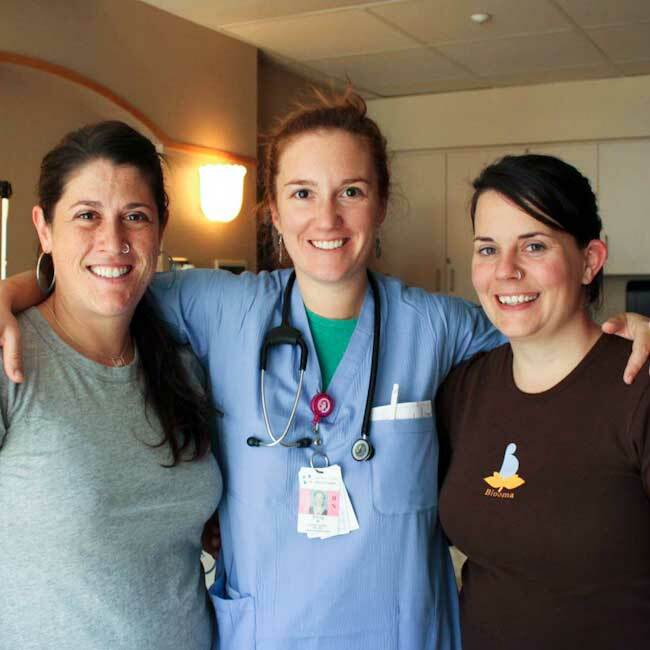 Patient advocacy during labor and birth. Photos of your birth and first moments of your new family (if desired). Lactation education & support before and after delivery. 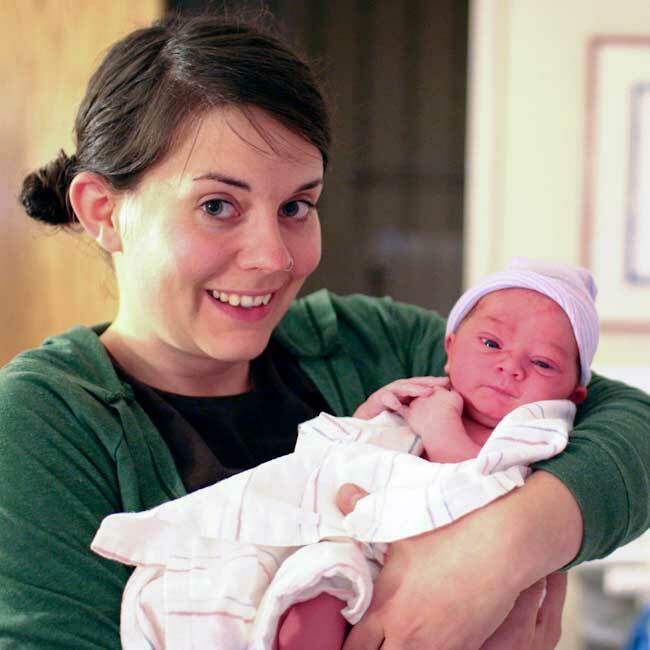 One postpartum visit after delivery to answer questions regarding the baby and lactation, and to review the birth. Our fee is $1000. Please let us know if you would like to schedule an interview. To sign up for a class or attend a workshop, book online! Click here -- > Blooma! 2. In the drop-down menu on the top right, select me: "Kay Bastian Amber"
3. Be sure to note which location you are signing up for: we have studios in both Minneapolis, St Paul, and Plymouth. 2. Select "Blooma's Birth Class" or "Blooma's Birth Class (Express)"
Contact me directly to schedule a private in-home class + installation. * I bring a doll to show exactly how to clip & tighten the straps & buckles properly. * I also show you how to adjust the straps & buckles properly as baby grows. - I show you how to install your seat properly in a way that works for your family & for your car. - I give a quick overview of all the car seats you will need during your child's life. * I will give you a small pamphlet to keep that goes over all the seats and FAQs with each. If you have trouble finding a doula who is available, come to the "All About Doula" night the first Monday of every month from 7-9pm. It's FREE, and there is no need to register, just come at 7pm. 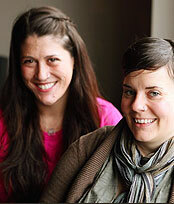 Many doulas come, and you will learn everything you ever wanted to know about doulas and how they work. Follow me on twitter! @DoulaOrDontcha.